2015 marks our 20th year in business – creating software to protect employees, patients and students across all industries. Today we have over 1200 companies using Simply Safety! and 300+ hospitals using Incident Analyst. Some of these fall into the industry groups shown below. The Calgary Board of Education (CBE) is the public school board in Calgary, Alberta, Canada. We believe personalized learning is the key to our student's success. BCIT's approach combines small classes, applied academics and hands-on experience so that you're ready to launch your career from day one. Be empowered to reach your goals with flexible learning that fits your life. City of Lloydminster also known as the border town that resides on the border between Alberta and Saskatchewan. Westlock was incorporated as a village on 16 March 1916, with a population of 65 residents. The County of Northern Lights believes in providing, supporting and contributing to improvements for its residents and the betterment of the region. Lac La Biche is the second-oldest established community in Alberta and has one of the oldest Metis settlements in Alberta. With a population of approximately 122,000, Kelowna is the largest city in British Columbia’s Okanagan Valley. Yellowknife is the capital city of the Northwest Territories and one of the most vibrant and diverse communities in Canada's North. Cochrane is committed to sustaining the friendly, small-town charm that has made it a community of choice for many families. The Hamlet of Acadia Valley is an area in South Eastern Alberta approximately 12.5 townships in size. A Canadian base metals mining company, with three producing copper mines: Pinto Valley in the US, Cozamin in Mexico, and Minto in Canada. North American Tungsten Corporation Ltd. is the Western World's largest producer of tungsten concentrate. Teck is Canada’s largest diversified resource company, committed to responsible mining and mineral development. Propak specializes in oil and gas production packages and modularized processing plants and operates one of the largest engineering and fabrication businesses in Canada. Headquartered in Calgary, ATCO Energy Solutions is part of the ATCO Group of Companies. The goal of Stampede Drilling is to provide the safest and most efficient drilling services in Southeast Saskatchewan. A municipal electric utility owned by the City of Cambridge and the Township of North Dumfries. Burlington Hydro Inc. is an energy services company in the power distribution business. We provides complete pipeline and facility services through the use of current technology, equipment and techniques available in today's market. We strive to remain competitive in our business sectors and welcome new and innovative ideas from employees and clients. 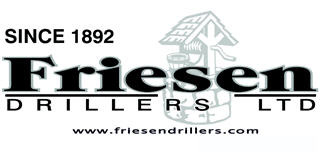 The company is currently owned and operated by a third generation of Friesens, with a fourth generation becoming actively involved. As a preeminent leader in the scaffold industry, Solid Platforms, Inc. has been providing quality scaffold systems for our customers since 1990. Christensen & McLean Roofing Co. is committed to workplace environment that makes safety a priority. GN’s quality system, which is ISO 9001 certified since 1997, is internationally recognized and is key to the door of global business. BELFOR is the largest Canadian disaster recovery and property restoration company for residential and commercial properties. Cherry is a demolition and recycling company based in Houston, Texas and now in our 61st year of operation. CCT Controls is your complete Instrumentation / Electrical maintenance and Fabrication provider for Northeastern British Columbia and Alberta. For the last 25 years, DSI has developed processes that extend the service life of assets with the utilization of 100% solid high performance coating technology.